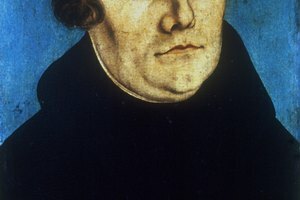 Martin Luther began the Protestant Reformation that ushered in a new era in world history. Religious thinking underwent dramatic changes during the three hundred years from the 1500 to 1800. Western Europe, once dominated by Catholicism, witnessed challenges to its religious homogeneity. 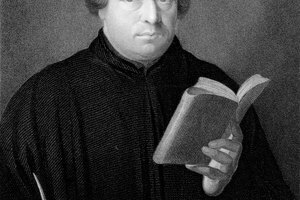 In 1517, Martin Luther questioned the route to salvation. The subsequent Protestant Reformation created a divided Christian church with a multitude of denominations. Overall, the break from the seeming rigidity of Catholic doctrine allowed people to express their faith in new, more individualistic ways that both helped produce and was a product of the Age of European Discovery. Religious salvation, in medieval Catholicism, came through good works. Catholic theology taught that people could receive the grace of God through their actions. The church sanctioned the purchase of indulgences that supposedly reduced punishment for evil deeds, or sins. 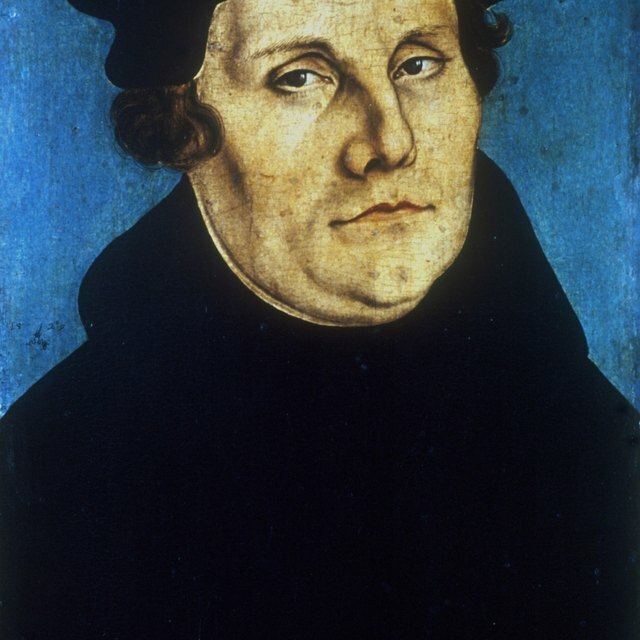 Martin Luther, a German cleric, believed that the selling of indulgences, and other perceived corruption in the church, needed immediate addressing and wrote the Ninety-five Theses, a set of charges against the Catholic Church, that claimed individual faith was the only means to salvation. This new conception of salvation became the root of the Protestant Reformation, which declared that individuals had a personal relationship with God. John Calvin, beginning in the 1530s, moved Protestants further from traditional Catholic teachings. Calvin’s theory of predestination proclaimed God had already decided the fate of every person and therefor no human act could result in salvation. Predestination made religion more a personal issue as individuals wondered if they were one of the chosen. The nation-state of England officially abandoned the Catholic Church when King Henry VIII, in 1534, established the Church of England, or the Anglican Church. The King asked Pope Clement VII to grant him an annulment, and later a divorce from his first wife and allow him to marry again, but Clement denied the request. As a result, King Henry declared England officially part of the protest movement against Catholicism. Puritans, incensed over the lack of substantive religious changes in England since its break with Catholicism, began a movement to “purify” the Anglican Church.The group believed individuals chosen by God for salvation should live in a manner that would demonstrate God’s goodness in them. 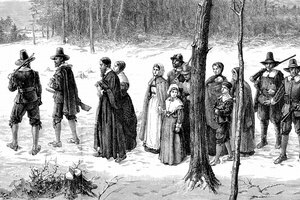 Unable to enforce their reforms and facing increased persecution under the reign of James I, many Puritans, during the 1600s, relocated to the American colonies. 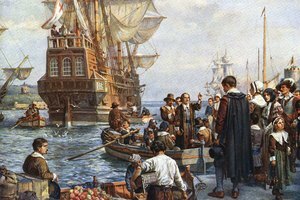 In America, the Puritans would establish a “new” England that would set an example for the world. British colonists developed a sense of independence because of the large physical distance between them and the motherland. 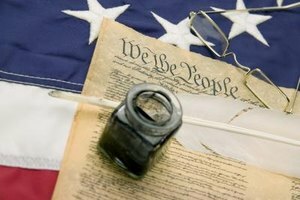 This independence would manifest in a religious revival called the Great Awakening. Americans believed that an individual had to undergo a personal renewal of faith to achieve salvation. The Great Awakening, characterized by mass conversions to Christianity and large revivals held by traveling preachers, swept through the colonies from 1720-1830. With a focus on the individual, the Great Awakening served to break down barriers of race, gender and social class that persisted in traditional religious groups. The Protestant Reformation: Belief, Practice, and Tradition; Madeleine Gray, Ph.D.
What Were the Five Basic Puritan Beliefs? Kenneth, David. "The Religious Changes During the 16th, 17th & 18th Centuries." Synonym, https://classroom.synonym.com/the-religious-changes-during-the-16th-17th-18th-centuries-12087041.html. 29 September 2017.